Creatives can get into a trap where we’re creating for ourselves. We want to be unconventional and we believe the masses will someday catch up to our genius. Whether or not you should create for yourself or create with other people in mind is hotly debated. My take on it is, there’s a time to focus on creativity and then there’s a time to focus on getting across your message clearly. If you want to sell something, being clear is going to help you. For example, the first draft of my book’s back cover had a description I wrote in somewhat long-winded language. I got my friend’s take on it. He thought it was confusing. He had a point, and I went back to the drawing board to make it better. When you create in a bubble because you fear constructive feedback or rejection, you’re missing out on an opportunity. I’ve skipped getting feedback before for these reasons, but I’m seeing a marked improvement in my work because of the critiques. Throughout the process of writing and getting feedback on the product, I’ve found myself getting more and more motivated to push forward with new ideas and projects. Usually, people give feedback in a sandwich. They tell you something they like, followed by something that could improve, followed again by something that they like. The encouragement I get for the things that are working makes me feel good about the hours I’m putting in. Improvements to the book mean I’m making progress in my mission of offering quality products and information to my customers. 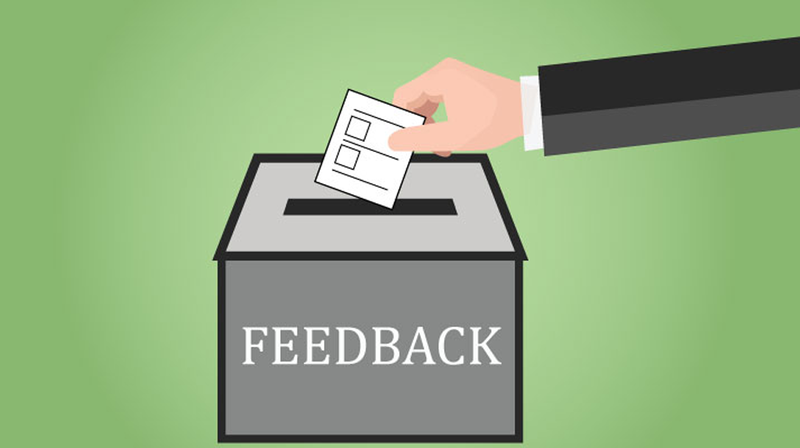 Constructive feedback given in a positive way is valuable. Don’t let feedback hurt your ego. Lastly, I’ve learned feedback is important when teaching people how to do something. My budget workbook is a how-to guide. I’ve been working in the personal finance space for almost five years. I know the ins and outs of budgeting, credit card terms, savings accounts, and more. These are things I want to make sure I’m explaining in my book clearly to people who aren’t familiar with the topics. The next step for me is sending out copies to people to get their feedback on how easy it is to work through the book. I’m hoping to get their outside perspective on the flow and experience of reading. Outside perspective is golden. You can’t create a product that’s useful in a vacuum without asking their opinion. With all of this said, there is a difference between quality feedback and unnecessary feedback. There are trolls online who pick at people for no reason, and people who offer feedback that’s not useful. Always consider the source when deciding whether or not to consider feedback.